Daikin’s AURORA™ Single Zone Wall-Mounted Systems offer energy efficiency and comfort control with an inexpensive, cost-saving solution. 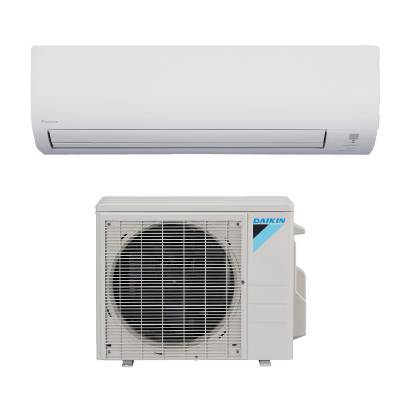 Available in heat pump models, these single room air conditioner systems feature streamlined, wall-mounted indoor units combined with quietly compact outdoor units. The flexible design blends tastefully with any home decor, and is perfect for single room enhancements, spaces needing additional cooling only, and additions up to 1,460 square feet.